Niagara Falls, NY - The LaSalle Expressway ramp off the Niagara Scenic Parkway is closed for construction work. The posted detour will direct LaSalle Expressway traffic to exit northbound onto Interstate 190 and exit at Niagara Falls Boulevard (US Route 62). Traffic will then turn left at the bottom of the ramp onto Niagara Falls Boulevard and follow signs to Interstate 190 southbound. 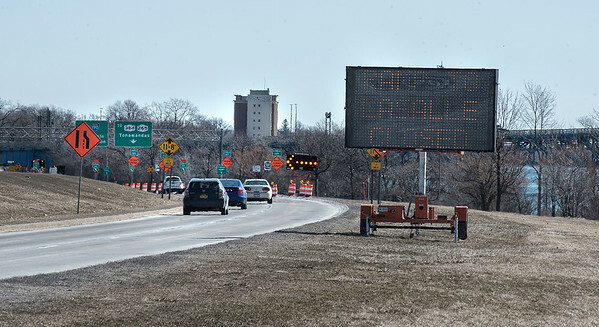 The posted detour will direct Interstate 190 traffic to exit at Buffalo Avenue. Turn left at the bottom of the ramp onto Buffalo Avenue and follow signs to the LaSalle Expressway eastbound. The posted detour will direct traffic to follow the LaSalle Expressway eastbound and exit at 77th Street. Turn left at the bottom of the ramp and follow the LaSalle Expressway westbound to Interstate 190 northbound. Motorists are advised to consider alternative routes during the 2010 construction season. Those motorists using the posted detours are advised to follow the posted speed limits along the detour routes.